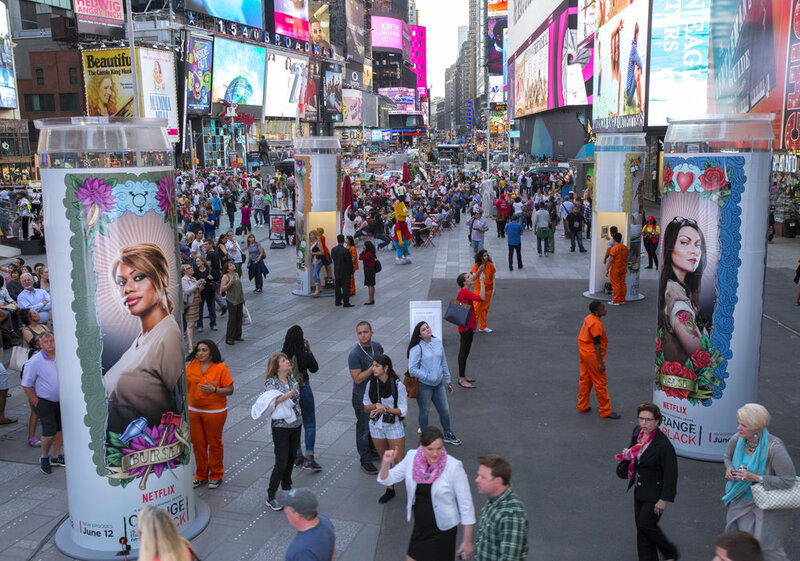 Grandesign let the ladies of Litchfield loose in Times Square to usher in season three of Orange is the New Black. Netflix employed prayer candles as the center piece for their marketing efforts for season three; Grandesign added a third dimension, built them 14 feet tall, and installed a photobooth inside. Passers-by were greeted by brand ambassadors dressed in prison garb who encouraged them to step inside the booth and snap a selfie. 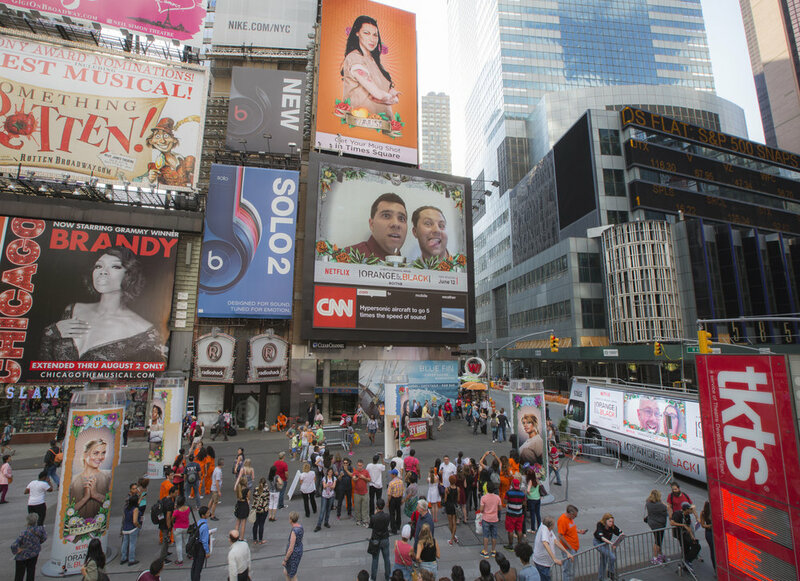 Pictures were posted to over 1,000 square feet of signage in the heart of Times Square, and seen by millions, including leading actresses Laverne Cox and Laura Prepon, who stopped by to pose with their respective candles, greet fans, and share their experience on social media. Copyright © 2017 Grandesign Inc. All rights reserved.